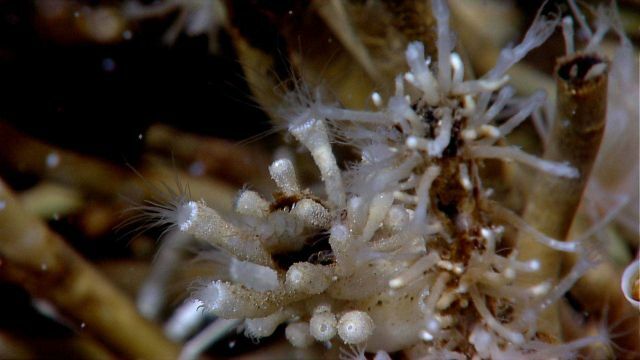 An aggregation of vestimentiferan tubeworms (Lamellibrachia sp. )., hydroids ( small stalked animals), and white zoanthids (larger stalked animals). a scale worm and a longer worm can be seen in the zoanthids.